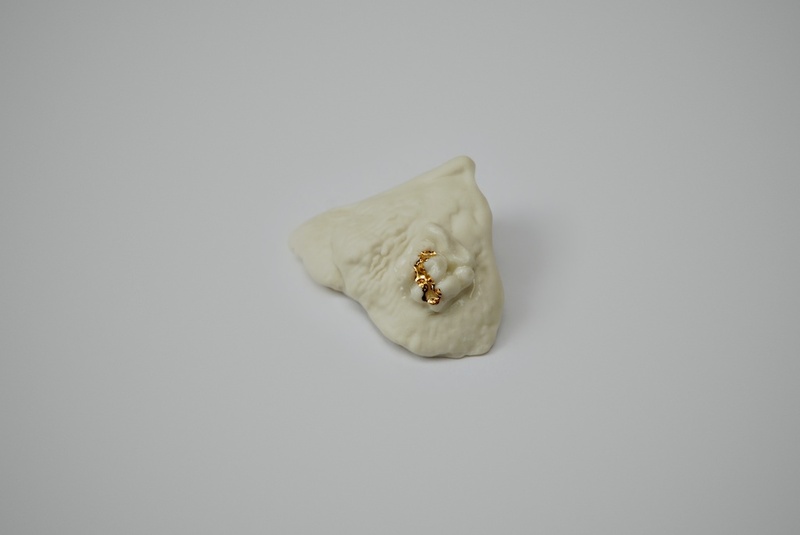 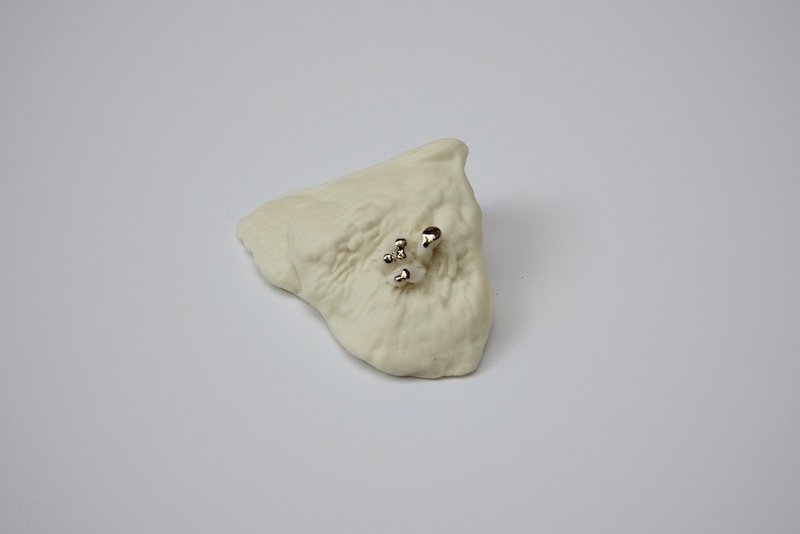 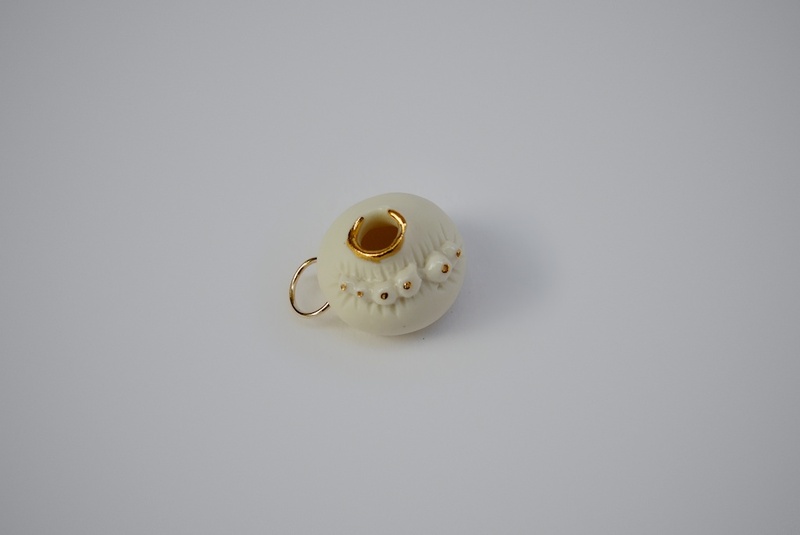 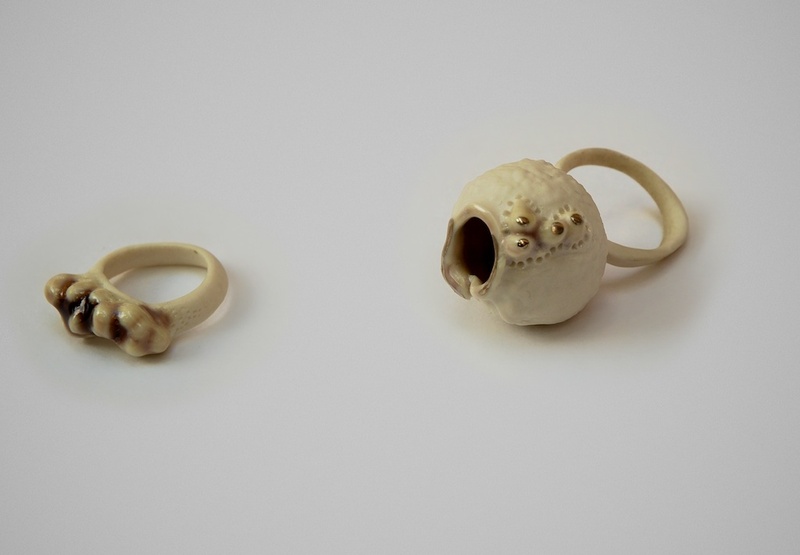 The ‘Triggers” range of jewellery is made of pure white porcelain. The range is an evolution from a previous collection of larger decorative ceramic pieces named “Frammenti di Memorie”. 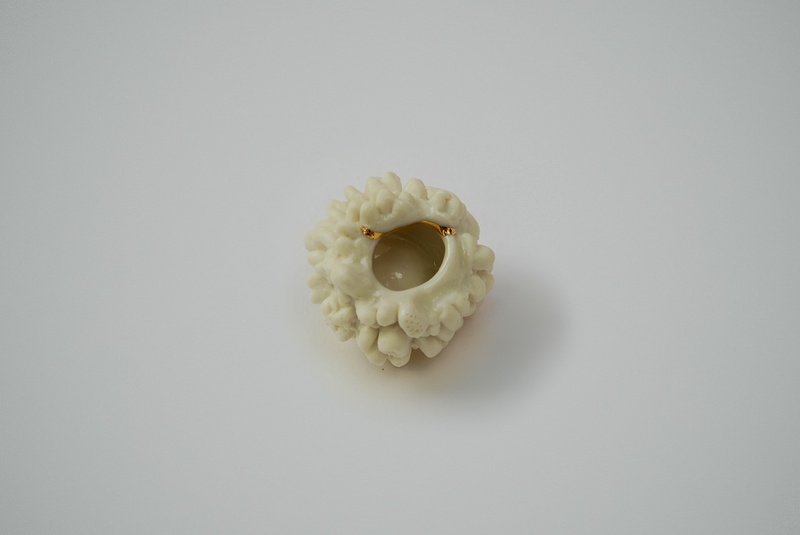 Working from natural forms, in particular with seeds, which become capsules of time, memory and place. 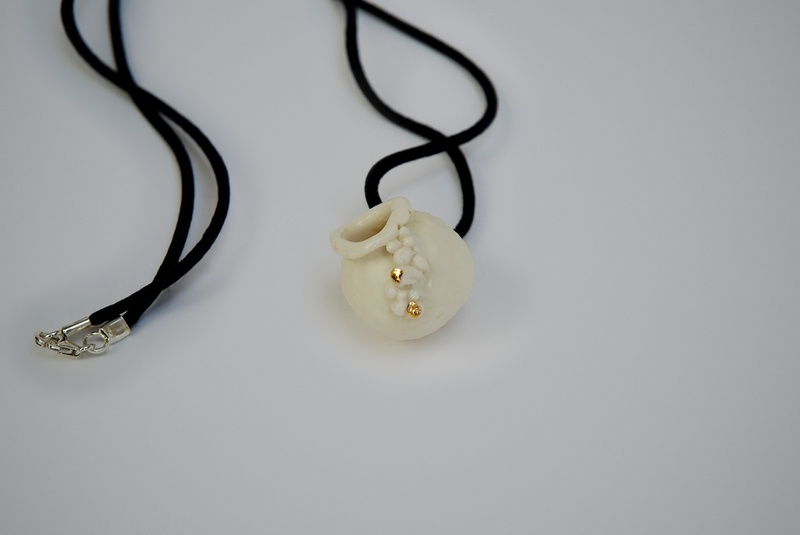 Each organic porcelain form has been manipulated and transformed into a unique wearable piece of sculpture .